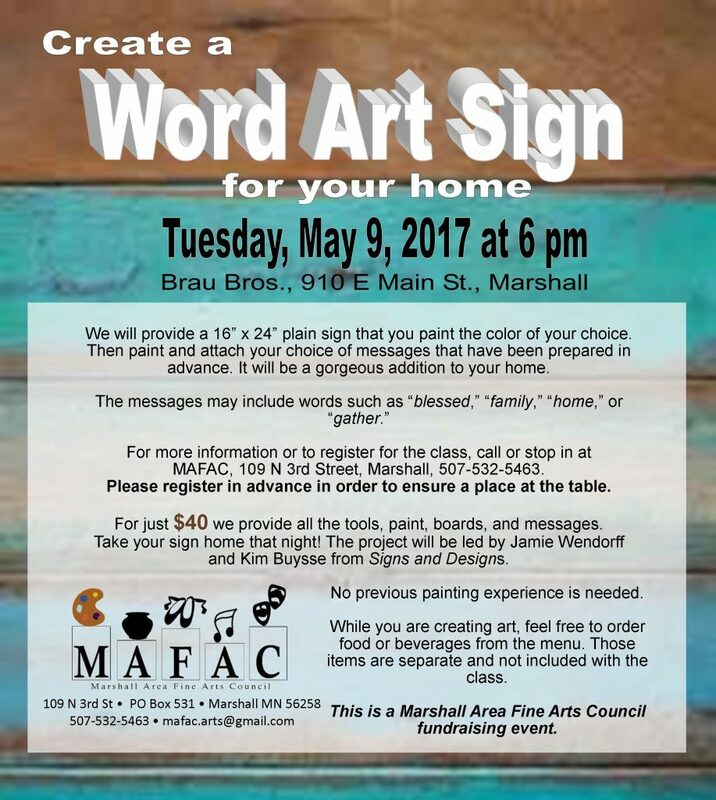 Create a “Word Art” sign for your home, Tuesday, May 9, 2017 at 6 pm. Taking place at Brau Brothers, 910 E Southview Dr in Marshall. This is a Marshall Area Fine Arts Council fundraising event. MAFAC provided a 16″x24″ plain sign that can be painted the color your choice. Paint and attach your choice of messages that have been prepared in advance. 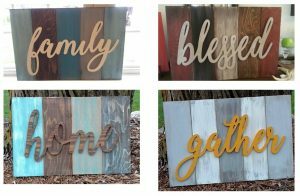 It will be a gorgeous addition to your home! For more information or to register for the class, call or stop in at MAFAC, 109 N 3rd St, Marshall, 507-532-5463. Please register in advance in order to ensure a place at the table. For $40 the tools, paint, boards, and messages will be provided. Take your sign home night of. Project will be led by Jamie Wendorff and Kim Buysse from Signs and Designs. No previous painting experience is needed. While you are creating art, feel free to order food or beverages from the menu. Those items are separate and are not included with the cost of class. MAFAC is open T-F 12-5:30pm.